Hi everybody! Today we’re gald to publish this testimony of Eric, one of our members who sent us a mail few weeks ago. He wanted to tell the community how hard dealing with high level harmonic distortion is. Are you ready to discover his experiences? “Though rare, high level harmonic distortion is a term that can terrify even most experienced plant engineers. I, being a plant engineer myself, know how harsh the consequences of high level harmonic distortions can be. Put simply, think of high level harmonic distortions as a high blood pressure, and human body as a plant or utility service. What happens when someone’s BP levels increase tremendously? The person can get severely paralyzed and in some cases, even death may occur. The same thing happens with the plant. When a plant’s equipment experiences high level harmonic distortions, a part of the plant may block out and in worst case scenario, the plant may shut down temporarily causing huge operational losses. How exactly does a high level harmonic distortion affect the utility distribution system or a plant’s distribution system? 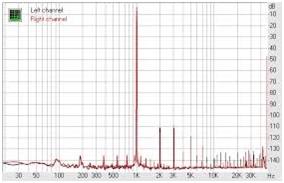 How a high level harmonic distortion affects distribution systems? High level harmonic distortions often produce peak voltages which are quite capable of damaging major operational equipment’s components such as motors or the insulation system. 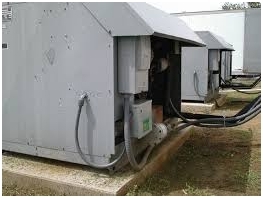 The increased stress on the vital components of power generating equipment can cause the insulation to fail and burn the windings of the motor. As a result, the equipment shuts down, which in turn increases operative load on the other equipment. This is almost like a chain reaction, or a plague that’s contagious. Apart from this, high level harmonic distortions are prone to increase RMS currents to dangerous levels which induce high temperatures in the equipment. 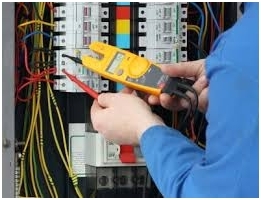 Not all components of the electrical equipment can bear high temperatures. Sensitive components such as microprocessors and sensors can almost fail immediately causing the equipment to malfunction or shut down. RMS currents thus generated can also cause premature aging of the electrical equipment. 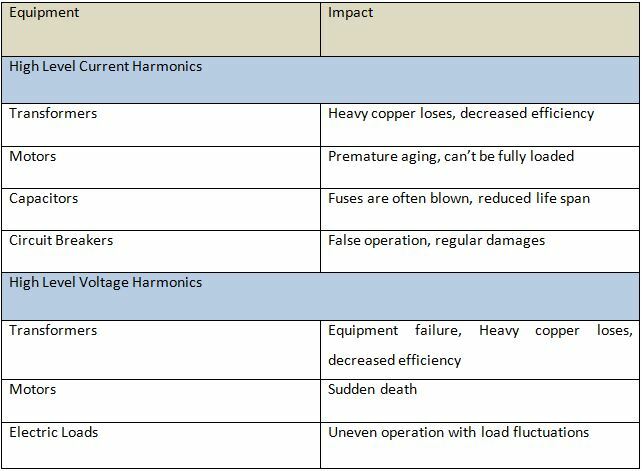 Note: The above mentioned table indicates what high level current and voltage harmonics could do to the electrical equipment. Though they are shown individually, current and voltage harmonics always occur together, i.e., the current distortion causes voltage to distort. Hence, they always exist together, meaning, a greater impact. Causes: There are many causes for high level harmonics to occur. It is hard to find out, actually. It can be an unexpected motor failure, power supply failure, voltage spikes, inefficient drives or drive failures, inefficient circuit breakers or circuit breaker failure, false tripping of switches, etc. Solution: As mentioned earlier, it is very hard to know the exact reason for the high level harmonics to occur. The only solution is in the hands of a plant’s engineer. And it is, “Regular Maintenance.” All the critical electrical equipment should be regularly serviced as per the manufacturer’s specifications. All the components that are aging should be replaced immediately. Necessary tests should be conducted on a regular basis to see how the equipment is responding to a particular load and act accordingly. If it is not responding well, thorough checks should be conducted immediately. Negligence in case of one critical electrical unit, can force the other equipment to fail as well. I understand that, no matter how hard you try, it is impossible to completely prevent harmonics. But they can be minimized to a greater extent by being responsive to little symptoms that the equipment starts showing such as making unusual sounds, uneven raise in its temperatures, etc. In conclusion, as a plant engineer, if you want to avoid the nightmare of your plant being affected by these high level harmonics, supervise each and every problem whenever possible, be it major or minor, and get it repaired at the earliest. If the plant engineers are not careful enough, some minor problems can turn into major ones, leading to high level harmonics, which can sometimes cause irreparable damages to the plant. So be attentive, always! Hmm, interesting. What did you think about this testimony? Do you agree or not? Remember you can also send your articles and testimonies to the team by sending a mail. or copy this trackback: http://engineering.electrical-equipment.org/power-quality/high-level-harmonic-distortions-a-plant-engineers-nightmare-testimony.html/trackback from your own site. With the advent of Power Electronics and its usage in the industry Harmonics are becoming real spoiler and silent killer. In case the problem is really grave Passive or Active Harmonic Filter can be introduced in the system. Experts can be consulted to undertake Harmonic studies on running system and provide solutions. There are tools that permit the plant engineer to know a lot more about what is going on. by taking action when ‘unsafe’ levels of harmonics exist. Reporting from the meters to a central location with ‘warnings’ when defined levels of THDv and THDi are exceeded can go along way to insure you know and can take corrective actions. this weblog, and I used to visit this website all the time. How does electricity meter work?